Each Box of Tribute guarantees One Stamp of Approval Relic Card, One Dual Relic Card, One Tribute Triple Relic Card, and Three Autographs! Topps Tribute will return in 2018 as the first premium trading card release of the MLB season! - 1 Tribute Triple Relic Card NEW! 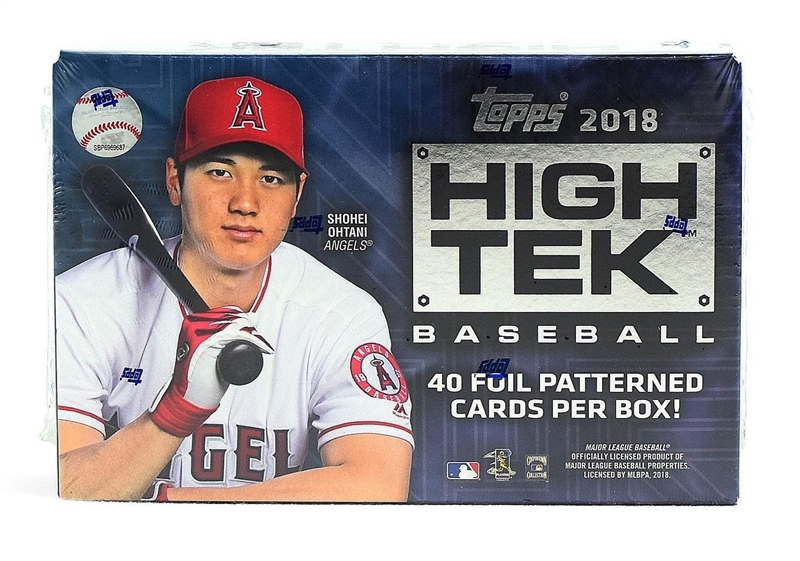 Along with 3 guaranteed Autograph Cards per box and a wide assortment of new low-numbered subsets, 2018 Topps Tribute Baseball will deliver the highest level of premium collectability. 2018 Topps Tribute Baseball will debut multiple new, low-numbered autograph subsets, including the first-ever Tribute Career Achievement Award! Tribute Career Achievement Award: NEW! This inaugural Tribute subset will commemorate the legendary career of renowned Dodgers pitcher Sandy Koufax. Look for up to 20 unique, hard-signed 1/1 autograph cards! A multi-layered card featuring premium stylized design elements and on-card autographs. Sequentially numbered 99 or less. Featuring the top rookie names of the 2018 class, noting the commencement of each subject's MLB career. Hard-signed and sequentially numbered. - Black Parallel - numbered 1/1. For the first time ever, Topps Tribute Baseball will guarantee a Stamp of Approval relic card, a Dual Relic card, and a Tribute Triple Relic card in every Hobby box! Stamp of Approval Relics: Standard-sized, MLB Authenticated memorabilia pieces of active veterans and young stars. Sequentially numbered. Dual Relics: Featuring a checklist of both single-player and dual-player subject combinations. Each card will deliver two game-used memorabilia pieces and will be sequentially numbered. Showcasing compelling combinations of three game-used memorabilia pieces per card. Sequentially numbered. - Green Parallel - sequentially numbered. - Purple Parallel - sequentially numbered to 50. - White Parallel - numbered 1/1. Also look for a staggering variety of 1/1 Prime Patch Autograph Relic cards, each showcasing a jumbo-sized multi-color patch piece paired with an on-card autograph! NEW! A number of popular autograph subsets will be returning to 2018 Tribute Baseball. Featuring a high-end checklist that includes MLB veterans, elite rookies and retired icons on Tribute's signature horizontal design. Sequentially numbered. - Printing Plates- numbered 1/1. Tribute to the Moment Continuity Autographs: 1 PER CASE! The continuity autograph theme established in 2017 will continue in this year's release. Sequentially numbered and guaranteed at least 1 per case. Generations of Excellence Autographs: 1 PER CASE in 2018! Iconic multi-image cards featuring sequentially numbered autographs of the game's retired stars. Now a case hit for the 2018 release! Also, look for rare Tribute Tandems Book Cards featuring unique player combinations and Autograph Patch Cards showcasing MLB Authenticated, game-used memorabilia. Each pack of Tribute Baseball will deliver two Base Cards. BASE CARDS: Highlighting the best MLB veterans and retired stars with premium design work. 2018 Rookies: 2 PER CASE! Featuring one of the first-ever MLB licensed rookie cards of up to 10 top 2018 rookies. - Purple Parallel - sequentially numbered.